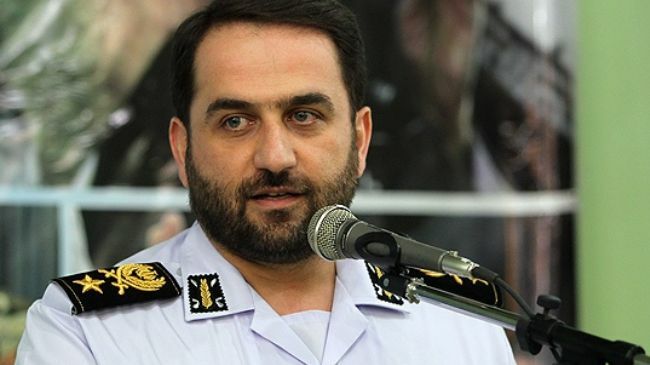 TEHRAN (Tasnim) – Iran’s Air Defense commander said the range of Bavar-373, known as Iran’s homegrown version of Russian-made S-300 missile system, has been extended compared to the Russian gear. According to Air Defense Commander Brigadier General Farzad Esmaili, the range of Bavar-373 has increased 1.5-fold in comparison with S-300. The commander did not elaborate any further, so it is not clear whether the improvement applies to detection or engagement range. S-300 can identify the targets within a range of 300 kilometers and can take action against the objects within a 200-km radius. Iran officially displayed components of Bavar-373, including its launchers and fire-control radar, in a ceremony in August, attended by President Hassan Rouhani. The air defense system employs three different types of missiles to hit targets at various altitudes.